What makes the 'widow-maker' so deadly? Here’s a sobering fact: Every 43 seconds, someone in the United States has a heart attack . And while all heart attacks can wreak serious havoc on your health, some are deadlier than others. Heart disease is the leading cause of death in America, killing more than 600,000 people in 2014. Coronary heart disease , in which plaque builds up in the coronary arteries, is the most common cause of heart attacks. Less frequently, a heart attack can also be brought on by a sudden contraction of a coronary artery that stops blood flow to the heart muscle. Here’s why: The widow-maker is a massive heart attack that occurs when the left anterior descending (LAD) artery is totally or almost completely blocked. The large mass in the artery essentially stops all blood flow to the entire left side of the heart, causing the heart to stop beating normally. When this happens, patients will go into cardiac arrest. Niess said that statistically, widow-makers are likely to lead to irregular heartbeat as well. He also noted that, despite its name, the widow-maker doesn’t discriminate: Women are susceptible, too. “In this case, it’s a widower-maker,”Niess said. Although blockages can occur in other arteries leading to the heart, the LAD artery is where most blockages occur. Niess said about one-third of coronary heart disease patients have blockages in one artery, about one-third have blockages in two arteries, and one-third have blockages in all three arteries. The extent of the blockage can vary widely from 1 percent to 100 percent. “A widow-maker is a widow-maker when it closes the artery almost completely,” Niess said. 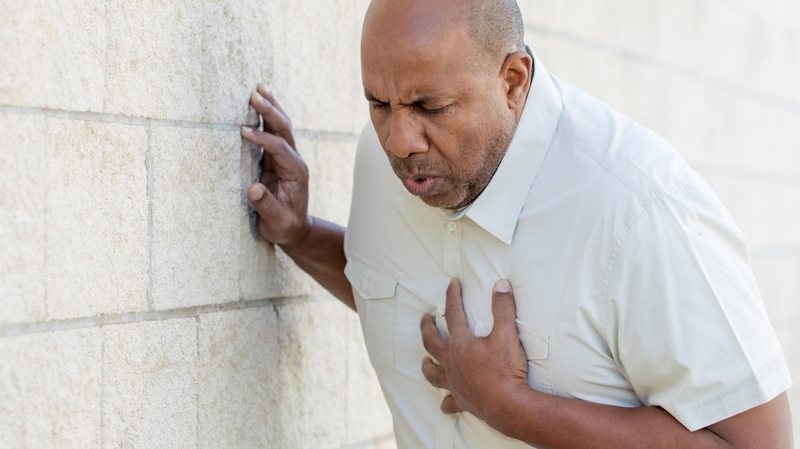 About 47 percent of people suffer a fatal heart attack outside the hospital setting, which suggests that they may have ignored their early warning signs and symptoms such as chest pain, discomfort in the back or arms, nausea and shortness of breath. “Many people can survive widow-makers and other types of heart attacks if we get them treatment right away,” he continued. The emergency procedure needed involves reopening the patient’s blocked artery using a stent. More and more heart attack patients are able to be saved thanks to advances in emergency treatments, but as the saying goes, an ounce of prevention is worth a pound of cure, and most types of heart attacks are largely preventable. Two of the most serious causes of heart disease in America are diabetes and obesity. “Diabetes affects the heart muscle like smoking two to three packs of cigarettes a day,” Niess said. But the good news is that some common sense lifestyle choices can help you lower your risk of suffering a heart attack. “It may sound trite, but don’t smoke, eat right, exercise, and treat your high LDL cholesterol and high blood pressure,” Niess said. How's your heart health? Novant Health has launched a community-wide campaign called the 10,000 Healthy Hearts Challenge with a goal to educate 10,000 people about their heart health by 2018. Take the online heart health risk assessment , which analyzes cardiovascular risk factors, such as blood pressure, cigarette smoking, diabetes and body mass index. Then, tag five friends on social media using #NHHealthyHearts to spread the word. Once you accept the challenge, look for helpful wellness tips, recipe ideas and stress management reminders sent to your inbox to manage your heart health.